If you are video editor, VideoStudio Pro X10.5 you can't miss which is easy and intuitive, supports the complete 360° video editing. You can import your photos, videos and audio, and edit in Timeline or Storyboard mode and create the wonderful videos for sharing on popular video share websites, like YouTube, Facebook, Vimeo, etc. However, some users complain that they can't import and edit the video in VideoStudio Pro X10.5, what's happening? How to solve this trouble? We should know the VideoStudio Pro X10.5 supported videos, most reason is the video incompatibility issue, you need to check the video formats, if you meet the video incompatibility, you need to convert the video to VideoStudio Pro X10.5 best supported videos with a third video conevrter. Following we will take one video converter for example and tell you the way. * Can't import the video to VideoStudio Pro X10.5? * Want to edit the DVD and Blu-ray movie in VideoStudio Pro X10.5? 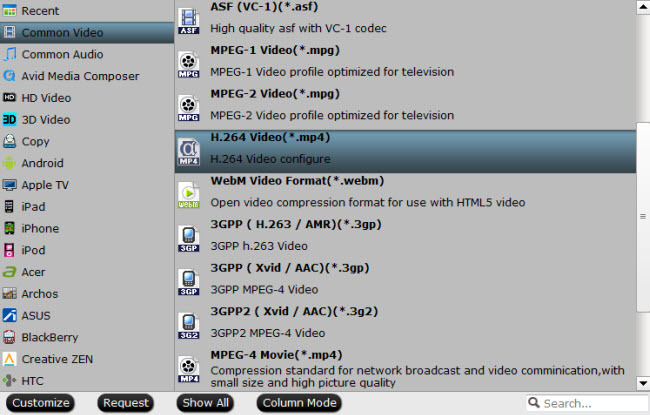 * Want to get the desired video formats from the VideoStudio Pro X10.5? 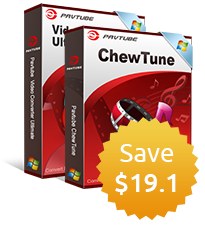 All these requirements, one programme can satisfy you, like the Pavtube Video Converter Ultimate which is a good video converter and support the Windows and Mac OS, even you are a PC beginner, you can finish the video converter installation within 3 minutes, you will love this software due to the user-friendly interface. Just few buttons, you can realize the great video conversion. There are 300+ video formats are for you, like the MP4, WMV, MOV, MKV, FLV, VOB, HEVC, H.264, etc. You not only can choose the video formats, also can adjust the video and audio codec, video frame, video resolution, video bitrate, etc for better video compatibility. By the way, this software has a built-in video editor, you can do some simple video editing, for example: You can change video output aspect ratio, you also can Cut/Trim/Extract video segments without quality loss, Split Large Video into small parts by file size, count or length, add subtitles to videos, etc. More wonderful features are waiting for you. Open this video converter and import the videos you want to convert, you also can drag the videos to this sofware directly. For saving much time and energy, you also can add a folder with multiple videos and do batch video conversion. You also can load the DVD and Blu-ray discs, ISO and IFO images, folders to it. Click Format and choose the videos you want, you can choose the videos for VideoStudio Pro X10.5, like the AVCHD, DV, HDV, AVI, MPEG-1/-2/-4, DVR-MS, DivX and so on. If you meet the video trouble when you edit the video in other NLE software, you also can get the best video formats from the NLE preset, like the FCP, Sony Vegas, iMovie, etc. Final step is easy to do: Go back to the main interface and click the Convert button to start the video conversion. Easy and intuitive: For all skill levels, learn as you edit and create impressive videos right from the start. Uniquely creative: Choose from 1,500+ filters and effects, enjoy multi-camera video editing, play with speed and more!